Who loves free pizza? Everyone loves free pizza. 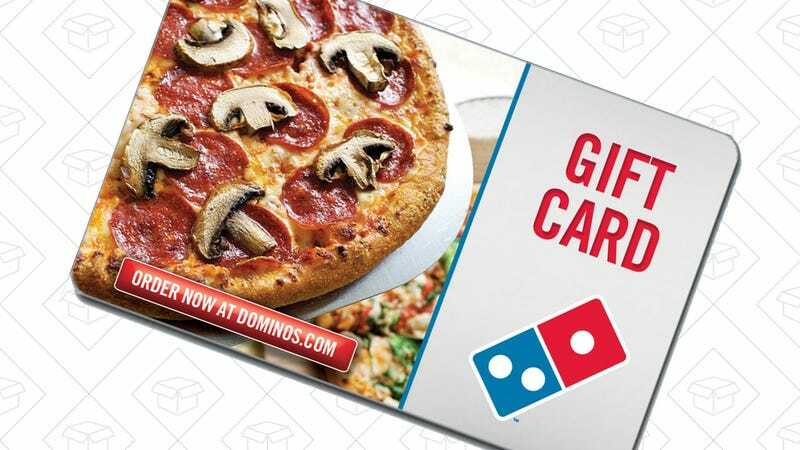 And this $25 Domino’s gift card is only $20 today, which is basically equivalent to $5 worth of free pizza or (insert Homer Simpson drooling noise) cheesy bread. And since this is just a gift card, rather than a specific offer, you can stack it with any other promotions Domino’s happens to be running.